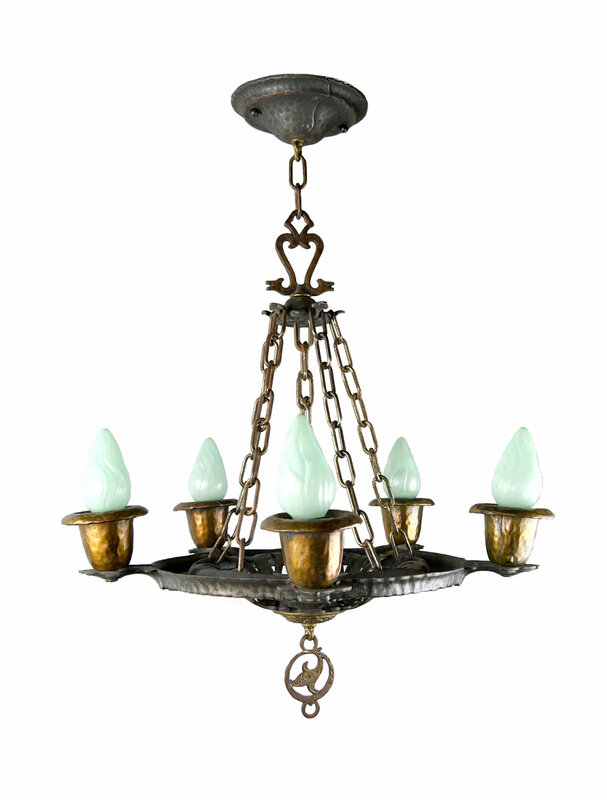 This hammered iron craftsman style chandelier was designed by the Virden company and has a winding symmetrical design. 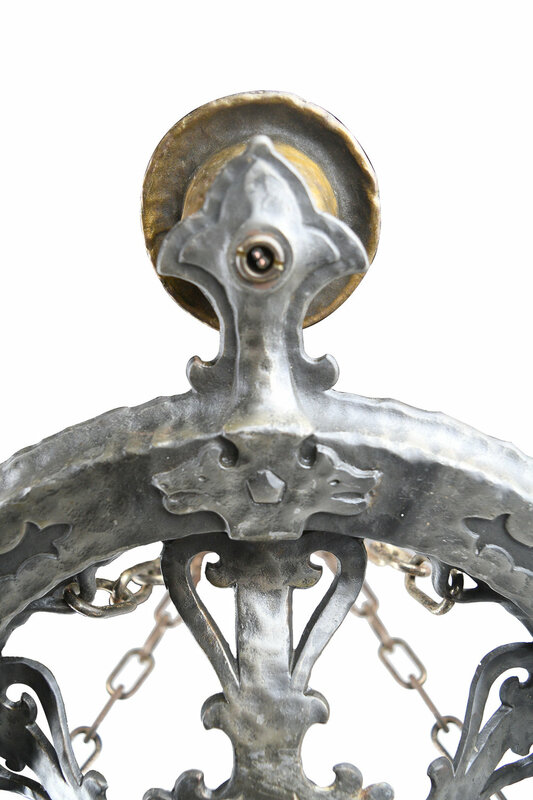 Floral flourishes are found throughout and a handsome leaf shaped finial hangs below. Serpent-shaped faces are intertwined within the design and give this chandelier an extra unique look. One of the most successful lighting companies during the middle decades of the twentieth century, the John C. Virden Company was the 3rd largest lighting manufacturer in the U.S., in part due to its popularity as an affordable and high quality producer. Virden light fixtures are made with highly durable materials, so they are easily restored to their original beautiful appearance. Be sure to include the Product ID AA#48121 when making your offer.